The new pricing is available on the MetaTrader4 (MT4) and GTS trading platforms across 28 forex pairs. Customers can trade on spreads as low as 0.8 pips on EUR/USD and 1 pip on GBP/USD, USD/JPY and AUD/USD. The pricing aims to move in sync with the underlying market, potentially providing tighter spreads as liquidity improves. A ‘cap’ or ‘limit’ is placed on the spread with the intent of restricting it from widening more than the listed cap level. In the opinion of FX Solutions, the ‘cap’ provides advantages over other variable spread providers, whose spreads, without a ‘cap’, can widen excessively around economic events. Using Capped Variable Pricing, FX Solutions customers can trade more efficiently with potentially lower spreads. Capped Variable Pricing is the latest addition to FX Solutions’ U.S. offering and follows the expansion of its market analysis and forex education capabilities with the recent appointment of Chief Technical Strategist, James Chen. To find out more about FX Solutions, please visit www.fxsolutions.com. FX Solutions is a leading foreign exchange broker with a focus on advanced trading technologies, transparency of trading and customer service. To learn more about FX Solutions, please visit www.fxsolutions.com. 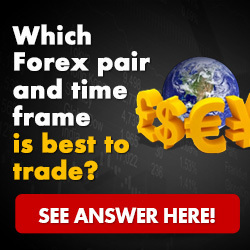 Forex trading involves a substantial risk of loss and may not be suitable for all investors. FX Solutions is compensated through a portion of the bid/ask spread. * While we strive to offer capped pricing (spreads) at all times, there may be occasions where a significant market or world event may force us to widen spreads beyond the caps without prior notice. The last time spreads were widened beyond set levels was February 2009. NZD/USD widened from 5 to 7 pips. Spreads vary based on market conditions, including volatility, liquidity and other factors. The minimum spreads referenced herein are intended to occur periodically in normal market conditions on select currency pairs. The spreads you experience throughout a day will differ.